Background: National basic laparoscopic skills curricula have been developed and are being incorporated into training programs. Additional procedural based simulator curricula are needed. 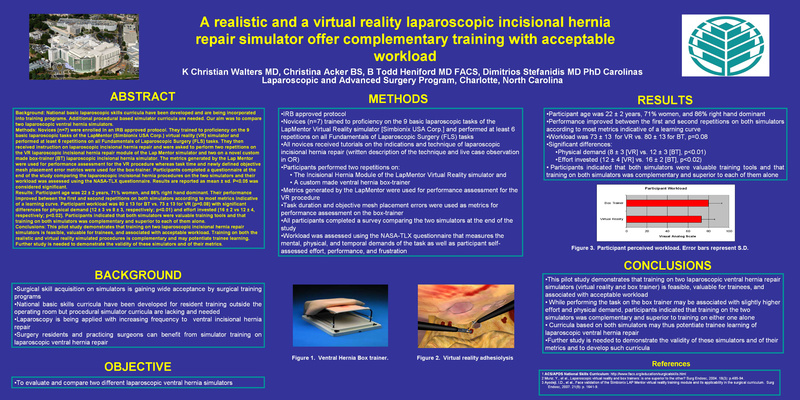 Our aim was to compare two laparoscopic ventral hernia simulators.